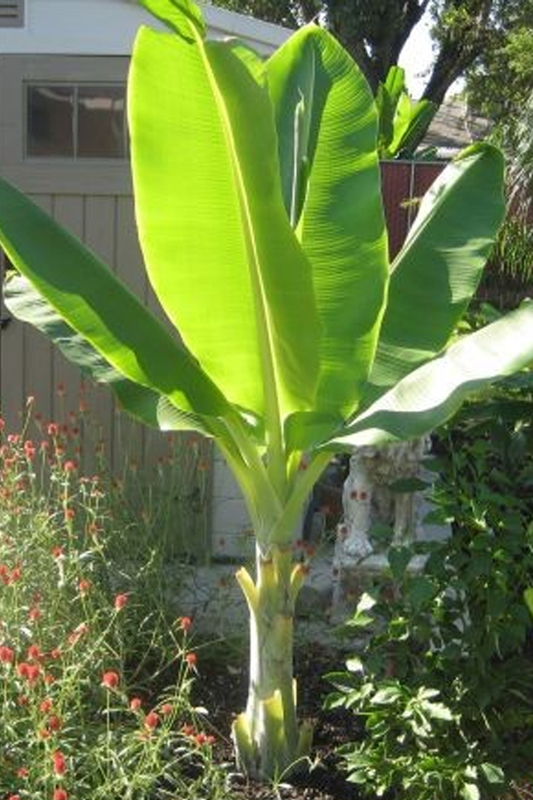 Ensete glaucum, the Snow Banana, is a larger version of the Abyssinian Banana but not so well known, sometimes called Musa nepalensis or Ensete giganteum, or Ensete wilsonii. It is native to China, Nepal, India, Burma, and Thailand up to 2600-8800ft. It has a thick, waxy and blue, solitary trunk with huge bluish leaves up to 10ft/3m long. 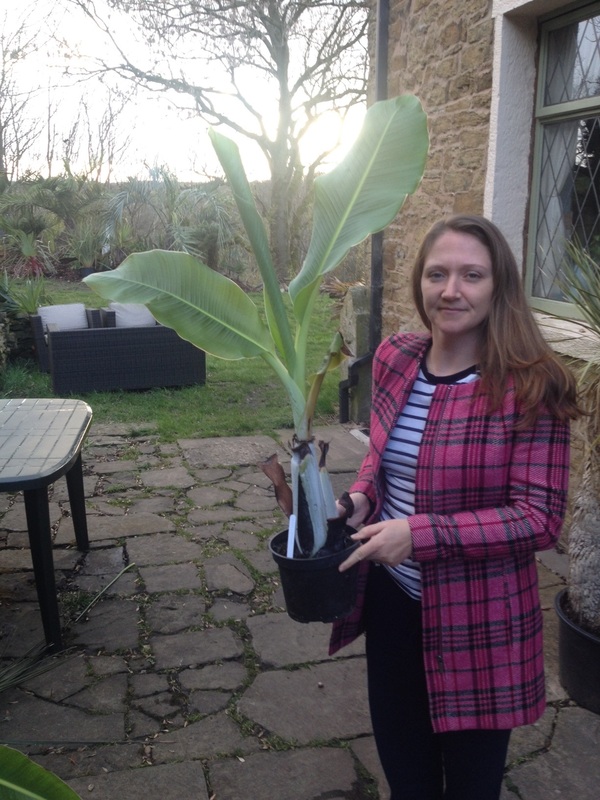 An extremely fast growing banana given heat, but not as hardy as Ensete ventricosum.